For some people, relief from stress and anxiety can be helped considerably with medication. While a prescription to an anxiety medication isn’t a cure-all and should usually be combined with another treatment (such as therapy), meds can go a long way toward providing relief. The exact type of medication for anxiety and stress depends largely on how it is to be used in your recovery. The exact type of medication for anxiety and stress depends largely on how it is to be used in your recovery. Some anxiety medications work by making your body relax so that your mind will follow. These are useful for providing rapid relief during a period of intense anxiety but are not beneficial, and may even make things worse if used long-term. Most often, drugs used for short-term relief of anxiety are members of the benzodiazepine class of drugs, which includes diazepam (Valium), alprazolam (Xanax), and lorazepam (Ativan). Another class of anxiety medication, known as beta-blockers, block our instinctive “fight or flight” response. Beta-blockers can be useful in the short-term to treat performance anxiety or manage the intense anxious response people with social anxiety disorder have when they must face public situations. Propranolol (Inderal) and atenolol (Tenormin) are among the beta-blockers used for anxiety sufferers. Because of their direct impact on the cardiovascular system, beta-blockers are not for everyone. They are not recommended for people with low blood pressure (as they may lower blood pressure further and make you faint) or for people with asthma or diabetes. Selective serotonin reuptake inhibitor (SSRI) antidepressants: These include fluoxetine (Prozac), paroxetine (Paxil), and sertraline (Zoloft). 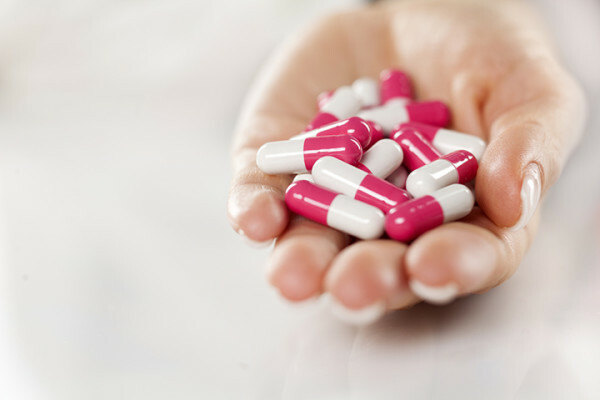 These common antidepressant drugs are often first-line options for anxiety sufferers as well. Tricyclic antidepressants (TCAs): These are an older class of antidepressant that are not used as often today because most people respond better or have fewer side effects with newer drugs. Still, for some, TCAs seem to work best to relieve anxiety. Examples of TCAs used for anxiety include amitriptyline (Elavil), imipramine (Tofranil), and nortriptyline (Pamelor). Other antidepressants: Some newer antidepressants have an effect not just on serotonin, like the SSRIs, but also on norepinephrine and sometimes dopamine. Many of these can be effective for treating anxiety. They include venlafaxine (Effexor), bupropion (Wellbutrin), and duloxetine (Cymbalta). It’s important to remember that antidepressant drugs are designed for long-term use. They will not work unless you take them daily, as prescribed. You won’t feel better if you pop one of these pills whenever you feel your anxiety ramping up. In fact, such use of these drugs may make you feel considerably worse. That’s because you need to reach a steady blood level in order to feel better, and the increase or decrease in blood levels that accompany starting or stopping these medications may make you temporarily feel worse. That’s why doctors sometimes temporarily prescribe a benzodiazepine to take for a few days or weeks when you’re starting a new medication for anxiety. antidepressant, antidepressant drugs, antidepressants, anxiety, anxiety and stress, anxiety disorder, anxiety medication, anxiety medications, anxiety relief, anxiety test, asthma, ativan, beta blockers, beta blockers for anxiety, blood pressure, brain, cardiovascular, cardiovascular system, depression, depression symptoms, diabetes, dopamine, dopamine boosters, faint, fight or flight response, fluoxetine, health, health news, improve depression, low blood pressure, lower blood pressure, medication for anxiety, mood, paxil, recovery, serotonin, Serotonin Deficiency, serotonin deficiency symptoms, serotonin reuptake, serotonin reuptake inhibitor, sertraline, side effects, social anxiety, social anxiety disorder, stress, tricyclic antidepressants, university health news, zoloft. I thought you might be interested in this article on https://universityhealthnews.com: Anxiety Medication and Antidepressants: Do They Make a Difference?